The Houthi Group (Ansarullah) arrested on Tuesday no less than 28 National Security officers in Sna'a, the Yemeni capital. The officers were arrested after having been monitored by the Houthi-run protective security, security sources told Debriefer. According to the source, they "formed an intelligence cell connected to Tariq Saleh, nephew of late president Ali Saleh, who is leading military forces called 'national resistance' fighting along with 'joint forces' against Houthi Group in the Yemeni southwestern port city of Hodeida." 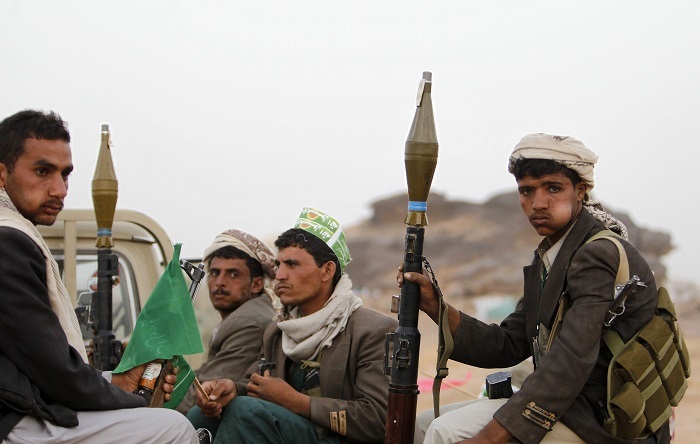 Yemen has been racked by armed conflict which broke out after the Iranian-backed Houthis had ousted the internationally recognized government in late 2014. Former President, Saleh, was killed by Houthis on 4 December last year, following two days of bloody battles between his supporters and Houthis after he declared disengagement with the group. Tariq Saleh, who led then his uncle's special guards, managed to flee Sana'a and formed forces to fight against Houthis in the western coastlines, mainly backed by the United Arab Emirates within the Arab Coalition.